It’s Ashton, again, from Something Swanky!It looks like Nikki’s husband is on the mend and she’ll be taking Thursdays back over next week, so this is our last week together! Lots of people think my husband must be spoiled by desserts.After all, our house is overflowing with them on an almost daily basis. But, in reality, my husband isn’t super impressed with my experimental desserts like Deep Fried Cadbury Eggs, Monster Cookie Dough Dip, or Red Velvet Pancakes. All the man really wants out of his dessert life is a decent chocolate chip cookie and a good slice of lemon pie every once in a while. That being said, he is completely smitten with this bread.He’s been begging me for weeks to make it again.How could I say no? And, besides, it’s totally worth it. Proof the yeast by combining the warm water, 1 tsp sugar, 1/2 tsp AP flour, and 1 tbsp. dry yeast in a small bowl. Let it sit for about 5 minutes, until foamy. Microwave the milk for about 90 seconds. Pour milk into the bowl of a stand mixer. Add the sugar, salt, eggs, and butter into the bowl and mix with paddle attachment. Gradually add in the flour until dough is pulling from the sides of the bowl. Divide the dough evenly into two balls and place each in a well greased bowl. Cover and let rise until doubled, about an hour and a half. Meanwhile, prep a work area by clearing your kitchen table and cover it with a clean fitted sheet. Once dough has risen, turn it out onto your floured sheet. Roll the dough from the center outward until it’s so thin you can see through the dough to the pattern on the sheet. In one bowl (or in a ziptop bag) combine the graham cracker crumbs and butter. 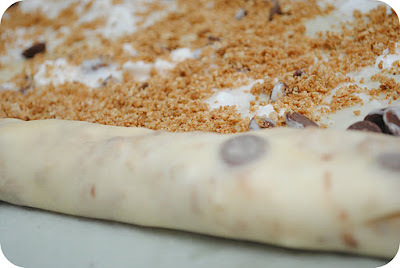 Spread the chocolate chips, melted marshmallow (1/2 of the bowl per loaf), and crushed graham crackers (half of the crumbs per loaf) evenly over the dough. 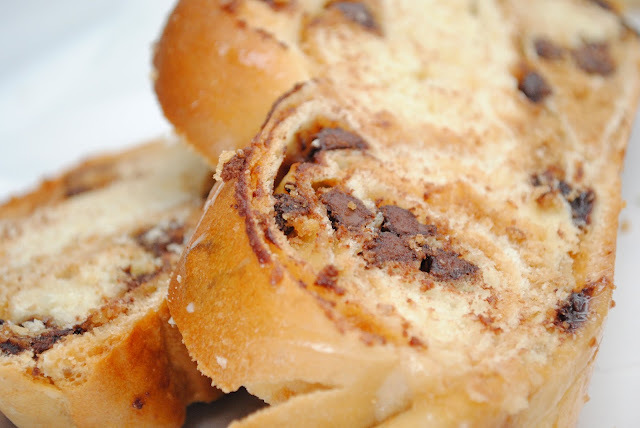 Gently roll the dough into a long rope (the way you would roll up cinnamon roll dough). Coil the rope into a parchment lined bread pan or 8×8 baking dish. Brush the top with milk. Bake at 350º for 15 minutes, and then decrease temperature to 300º and bake for another 45 minutes. I baked the two loaves at the same time with no problem. Optional: brush the top of the bread with a powdered sugar-milk glaze (yum!). Thank you so much Ashton for being here the last few Thursdays while I have been busy with my family! I truly appreciate it! If you haven’t already be sure and check out Ashton’s AMAZING blog, Something Swanky! WOW! How delicious does this sound?! Pinned this immediately, can't wait to try!! I'm a "nowhere near an expert bread maker", but I don't see where the bread is kneaded for any length of time. Am I missing something? Does proofing the yeast eliminate the need to knead? I want to make this bread for our cub scout camp out. How perfect will that be?!? Oh, yum! I love bread, and I LOVE s'mores! Can't wait to try this one! 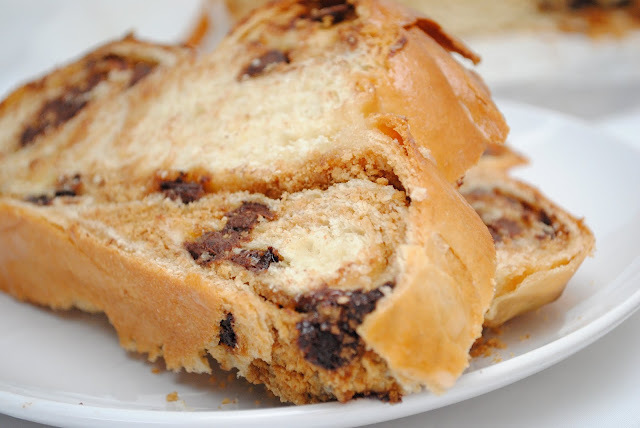 OMG looks delicious, this is something that I have to try, I like sweet breads a lot. This sounds amazing, I just pinned it and I'll have to try making it this weekend! What an awesome idea! Awesome job, Ashton!!! I love the smores filling!! :) Can I have a slice? Hi! I've never kneaded this bread before. I know, it's a little weird. Sometimes I do switch to the bread hook on my KA halfway through mixing, but that's about it! I was planning on making a lemon loaf today, but this has changed those plans. Looks amazing! Oh wow, this just made it to the top of my list. I WILL be making this tomorrow! Pinned. Made this earlier this week to take in to work. Everyone at work really liked it. To me, the marshmallow and graham cracker flavor were lost. 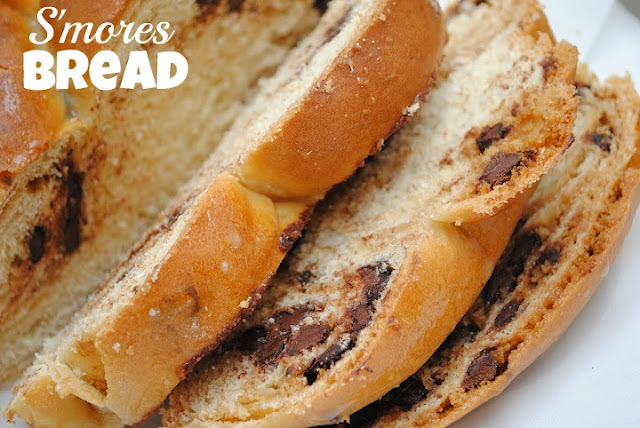 It tasted more like chocolate chip bread to me. Additionally, when I went to roll it, the marshmallows tried to ooze out onto the counter, not that I minded having a taste when I cleaned up! Next time, I will leave out the marshmallows and graham crackers.